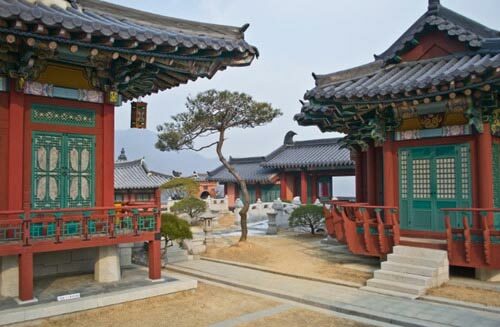 With the popularity of MBC Korean drama “The Moon that Embraces the Sun“, the venues which were been used as the filming set have become the must-visit locations when traveling to South Korea. 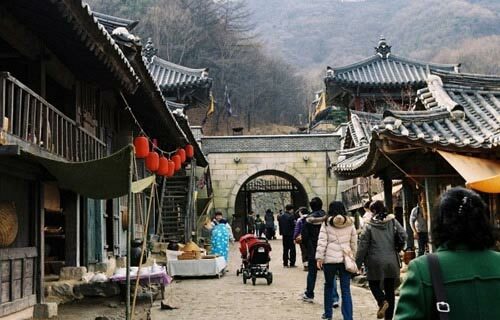 What’s more, most of these filming venues are tourist attractions by themselves, making a visit even more worthwhile, while bringing nostalgic to the everlasting love. 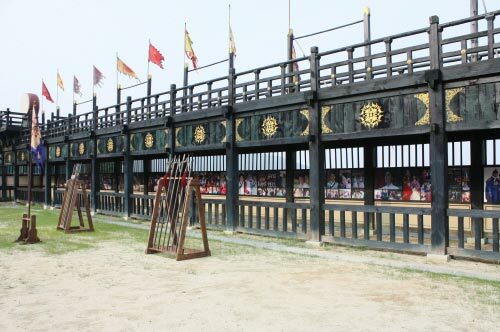 For drama lovers who want to plan their trip to South Korea to revisit the memories about the King Lee Hwon and Heo Yeon Woo, here’s the introduction to the tourist spots which are the major shooting sets for the series “The Moon that Embraces the Sun”. Literally mean “Home of Choi Cham Pan” or “Home of Choi Second Minister”, Choi Champandaek is located in the plain field under the Mt. 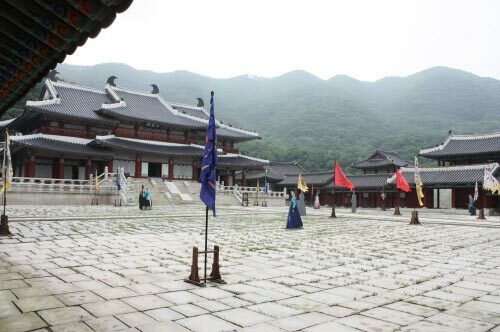 Seongje, which is the end of southern part of the ridge, which is the great ridgeline of the Mt. 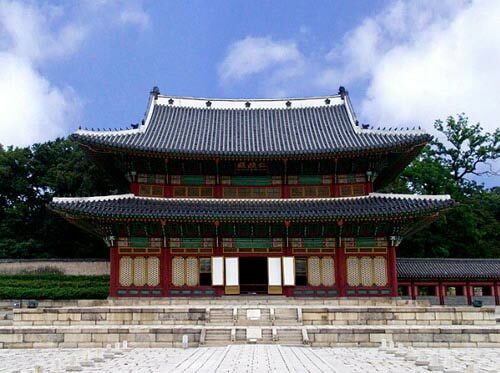 Jiri, Pyeongsa-ri, Agyang-myeon. 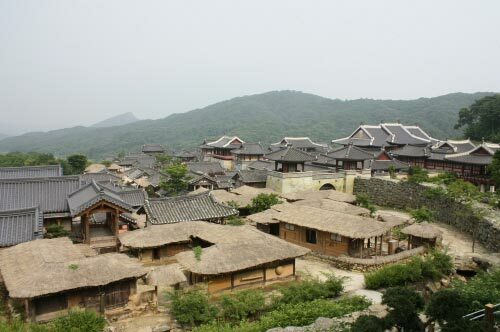 The hillside village of Pyeongsa-ri in Agyang is well known as the setting for a great epic historical novel called “Toji” or “The Land”, written by Gyeongri Park, and received all the benefit from the Seomjin River. Every autumn, the “Toji Literature Festival” takes place here. 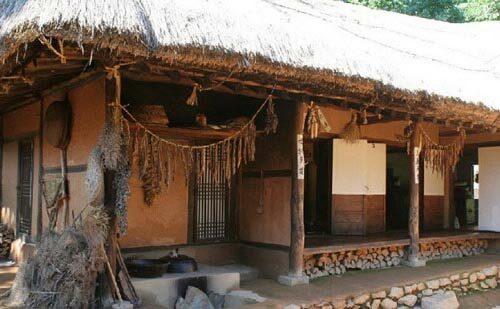 This is where Heo Yeon Woo lives during childhood. 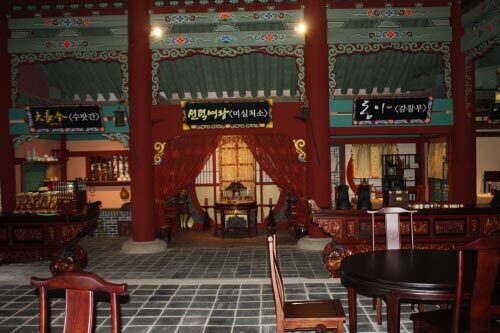 Choi Champandaek consists of 14 traditional Korean houses, reproducing the living culture in the later period of Joseon Dynasty. 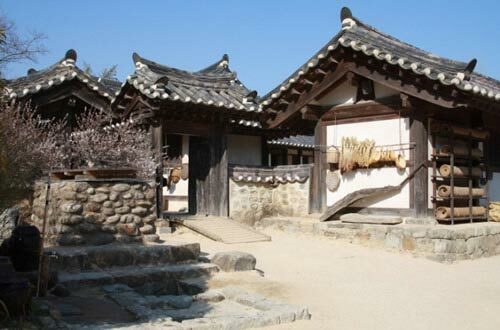 More information on Choi Champandaek is available at Hadong-Gun tourism site. Yongin MBC Dramia was co-created by Munhwa Broadcasting Company (MBC) and Yongin Municipal Office in August 2005. Located in Yongcheong-ri, Baekam-myeon, Yongin-si, MBC Dramia is an open set that measures a total of 29,421m² (8,900 pyeong). 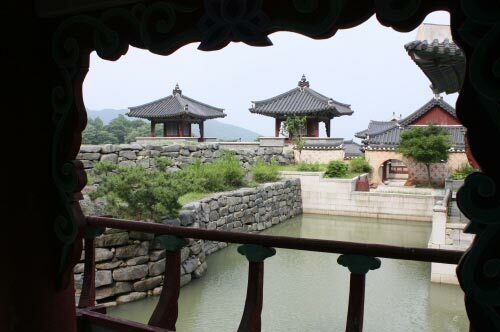 The panorama view of the palace and most buildings in the palace in “The Moon that Embraces the Sun” were shot here. 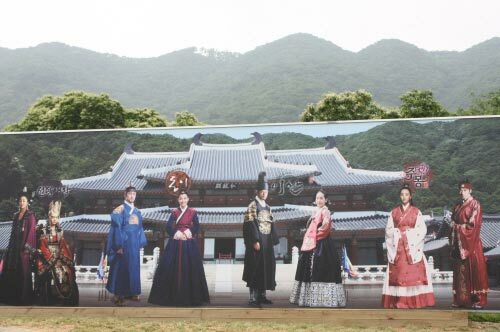 More information on MBC Dramia is available at Korean tourism site. 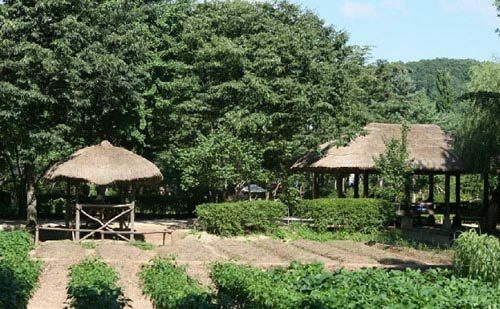 Set in a natural environment occupying approximately 243 acres, Korean Folk Village reproduces the natural atmosphere with over 260 traditional houses reminiscent of the late Joseon Dynasty, including various household goods from different regions. 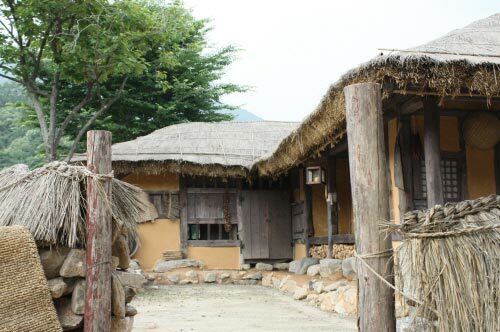 All these features have been relocated and restored to provide visitors with a broad understanding of Korean food, clothing, and housing style of the past. About twenty workshops, various handicrafts such as pottery, baskets, winnows, bamboo wares, wooden wares, paper, brass wares, knots, fans, musical instruments, iron wares and embroidery are practiced. Various traditional Korean food and wine are also available. 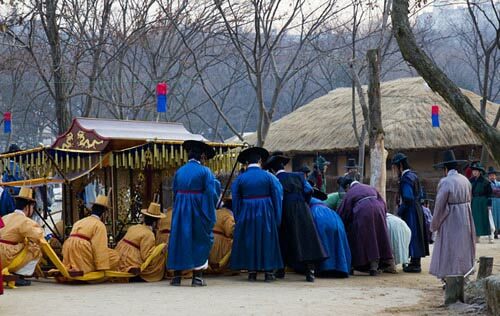 In the Korean Folk Village, where the customs and lifestyles of the past generations have been carefully preserved, various lifestyles prevalent during the Joseon Dynasty can be seen. 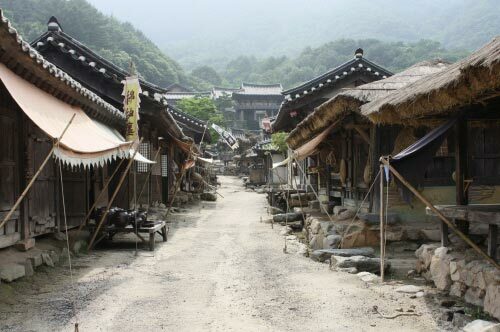 Korean Folk Village is also the filming location for the famous movie “Scandal”as well as the TV miniseries “Dae Jang Geum”. 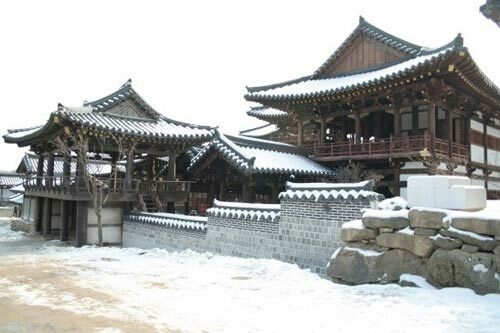 The market, street, and night scenes in “The Moon that Embraces the Sun” were shot here. 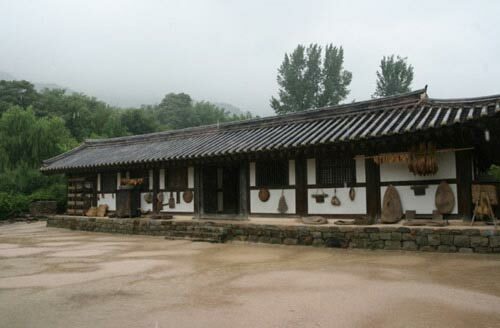 More information on Korean Folk Village is available at official website.